Amended CCMA Rules have been published in the Government Gazette and take effect on January 1, 2019 and are repeated here for easy reference. (1) A party must refer a dispute to the Commission for conciliation by delivering a completed prescribed LRA Form 7.11 (‘the referral document’). (2) The request must be made on the prescribed form 7.23 and before the expiry of the conciliation period as determined in terms of Section 135. (2) A party that intends to object to a dispute being dealt with in terms of Section 191(5A), must deliver a written notice to the Commission and the other party, at least seven (7) days prior to the scheduled date in terms of sub-rule (1). (3) The commissioner has a discretion to continue with the matter despite noncompliance with a directive of the Commission or commissioner in terms of sub-rule (1). However, any non-compliance may be taken into account when considering costs at the conclusion of the arbitration hearing. 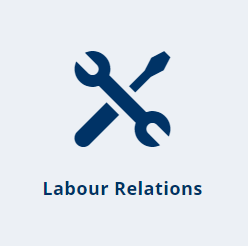 (ii) any member of that party’s registered trade union or employers’ organisation or office-bearer or official as defined in the Act and authourised to represent the party. (3) An application in terms of this Rule must be made in terms of Rule 31. (6) An application to join any person as a party to proceedings or to be substituted for an existing party must be accompanied by copies of all documents previously delivered, including the referral form, unless the person concerned or that person’s representative is already in possession of the documents. The application may be made at any stage prior to the conclusion of an arbitration hearing. (a) Any party opposing the application may deliver a notice of opposition and an answering affidavit within five (5) days from the day on which the application was served on that party. (a) The party initiating the proceedings may deliver a replying affidavit within three (3) days from the day on which any notice of opposition and answering affidavit are served on it. (a) The Commission must allocate a date for the hearing of the application once a replying affidavit is delivered, or once the time limit for delivering a replying affidavit has lapsed, whichever occurs first. (c) leaving a copy of it at the subpoenaed person’s place of residence or place of business or employment with a person who apparently is at least sixteen (16) years of age and is residing or employed there. (6) Service of a subpoena must be accompanied by proof of payment of the prescribed witness fees for one day in accordance with the tariff of allowances published by notice in the Government Gazette in terms of Section 142(7) of the Act and the witnesses’ reasonable travel costs and subsistence expenses. (2) A commissioner may make an award of costs in favour of a party who appears or is represented in arbitration by a person contemplated in rule 25(1)(a) in respect of reasonable disbursements actually incurred in the conduct of its case in the arbitration. A commissioner who makes an award in terms of this provision must specify clearly the items and amounts in respect of which costs are ordered. (b) LRA Form 7.18A in respect of an award issued in an arbitration conducted under the auspices of a bargaining council.